The chimney sweep business can be profitable but it comes at a certain cost. Most chimney sweeps are self-employed and responsible for the entire management and administration of their business. Most chimney sweeps are self-taught but the certificate can be earned at an apprenticeship program for Chimney Engineering. 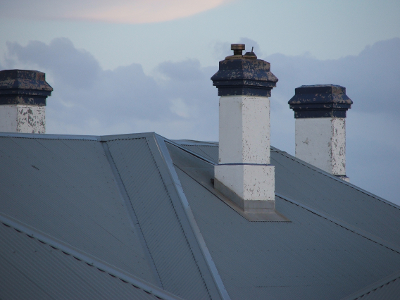 As most professions, the chimney sweep profession also has its advantages and disadvantages. Self-employment. If you like being your own boss, the job is perfect for you. You can control your work orders and hours. You are responsible for the business management. Being self-employed is great for people who love freedom. Free summer season. Chimney sweeps usually hardly get any work orders during the summer months, so the summer is completely free for you to enjoy the beautiful weather (or work on other projects). Meeting new people. During the season, every day you’ll meet a bunch of new people that might become your friends. Who knows, if you love communication then it’s a definite advantage for you as people let you into their most private space (their house). No long experience needed. In most cases no one even is going to ask a chimney sweep if s/he has a degree or what level of experience you have. Hazardous and dirty job. There are quite a few risks associated with the job: lung problems (working with chemicals), slipping or falling from the roof. Also, it’s a physical work that can be quite tiresome. A chimney sweep is responsible for all paperwork. As a business owner you’ll need to send invoices, quotes, track and manage expenses to make sure the business brings in profits. The good new is that you don’t have to do this manually thanks to Invoiceberry, the best online invoicing software for chimney sweeps. You don’t need to download or update the Invoiceberry software, just sign up, enter your details and Invoiceberry will take care of everything else. High competition and low demand. People started building modern houses with advanced fireplace systems that do not require as much care. Obviously, it’s bad news for chimney sweeps but they need to adjust to the changing needs of their customers. Expensive equipment. Simple chimney sweeping rods and brushes, and ladders are not expensive but if you want to offer more advanced services you’ll need to invest some extra cash. If the downsides of the business didn’t discourage you I think you’re ready to start your own chimney sweep business. Remember that hard work always pays off!